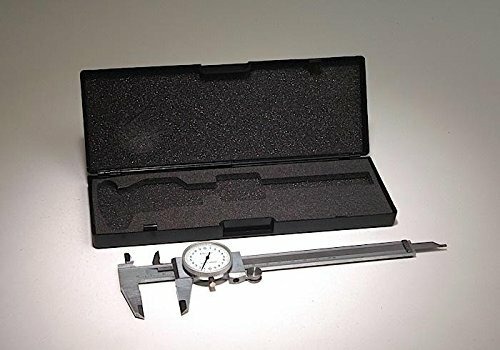 This precision measuring tool is made of hardened steel for precision and durability. It has a range of 150mm and a large, easy-to-read dial with a resolution of 0.02mm. A storage case and instructions are included.